Do you have a Parkinson's Plan of Attack? Are you ready to wake up each day confident you're doing the most you possibly can to lead a life full of energy, vitality, and (dare I say) hope? Sign up below for weekly e-mails from me that will guide you down the path to the best version of you, despite your diagnosis. 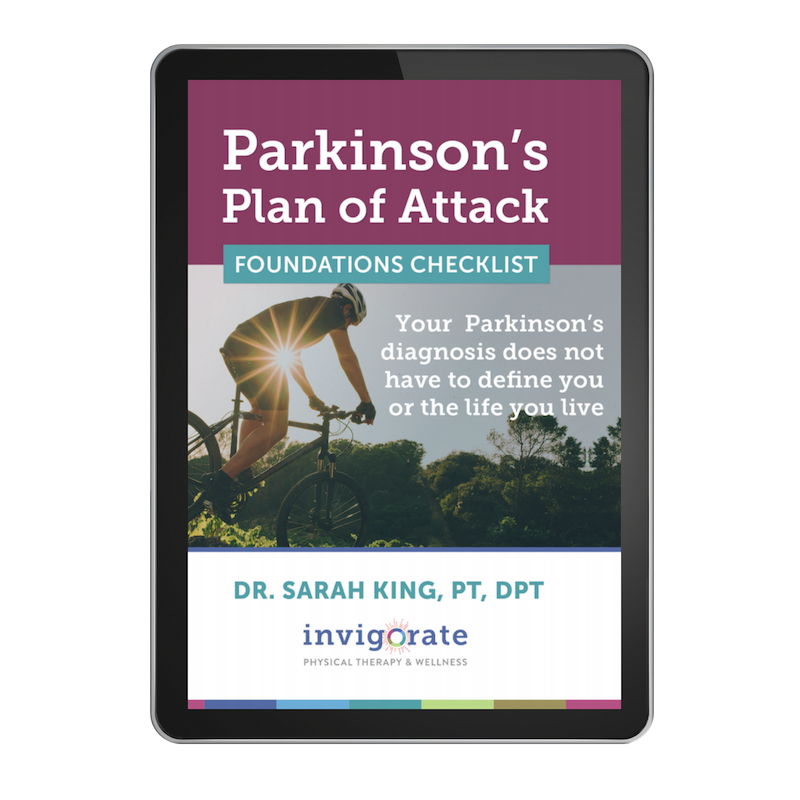 You'll also receive a free copy of my Parkinson's Plan of Attack Foundations Checklist that will walk you through the 3 vital components - supported in the research - that will build the foundation of your Parkinson's Plan of Attack. An overview of Parkinson's medications so you can discover if and when they're right for you. I'm a Doctor of Physical Therapy and owner of Invigorate Physical Therapy and Wellness - a 100% Parkinson's specialized private practice - here in Austin, Texas. I recognize every person with a Parkinson's diagnosis is different, and needs to start building their Plan of Attack at a place that's right for them. This guide will lead you to your own starting line. My mission is to empower you with knowledge to combat your Parkinson's symptoms and back it up with ridiculous support and encouragement throughout your journey.